Marvel and Netflix‘s Jessica Jones team up worked rather well, and I am well into half of the TV series and have to admit it, I like it. Mr. Sunday Movies created this video detailed every easter egg in Netflix’s Jessica Jone Season 1. Krysten Ritter, Rachael Taylor, and Carrie-Anne Moss star in Jessica Jones. Don’t forget to like and share. 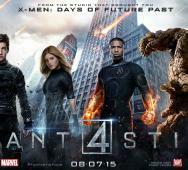 FOX Kills FANTASTIC FOUR Sequel!? FOX’s Fantastic Four Sequel to Josh Tranks’ Fantastic Four (2015) has been pulled from the FOX release schedule, initially set for June 9, 2017. The film has been called the worst film of 2015 by many, so this news comes as no surprise. Fantastic Four 2 could still see the light of day, but for right now, FOX has decided to can it. Did FOX make the right decision? 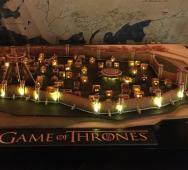 King’s Landing (capital of Westeros) is a tremendous focal point in HBO’s Game of Thrones so it was awesome to see this recreation of King’s Landing in Gingerbread. Michelle Wibowo of Michelle Sugar Art did a fantastic job bringing the capital to alive. I bet George R.R. Martin would love a bite. Tell us what you think in the comments below. 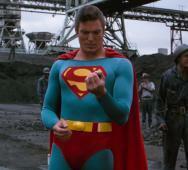 One Perfect Shot released this fantastic video portraying Superman III (1983) as a horror film. This concept has been done numerous times, even with Disney and Pixar films, but it is cool to see it applied to this movie. Tell us what you think of this video in the comments below. TV mini-series Lifetime‘s The Lizzie Borden Chronicles (2015) is releasing on DVD this February 2, 2016. The DVD extras include the usual deleted scenes and gag reel. 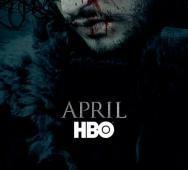 The mini-series was a short eight-episode which originally aired on Lifetime back on April 5, 2015. 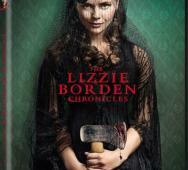 Christina Ricci, Clea DuVall, and Cole Hauser star in The Lizzie Borden Chronicles. Genndy Tartakovsky‘s Hotel Transylvania 2 (2015) Blu-ray and DVD releases this upcoming January 12, 2016, after the Digital HD release on December 22, 2015. Noteworthy Blu-ray extras include director commentary, cast commentary with Adam Sandler, Robert Smigel, and Allen Covert among a few others detailed below. 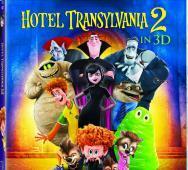 Adam Sandler, Andy Samberg, and Selena Gomez star in Hotel Transylvania 2. Enjoy this list of scary vampire types from around the world. We all know that there are different variations of vampires across the world from various documented mythologies and folklore. 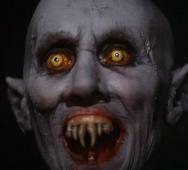 Here is the roundup of the top scary vampires, trust me, some are really gruesome. Thanks to YouTuber Beyond Science for posting this video. 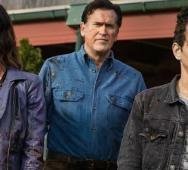 Starz’s Ash vs Evil Dead Season 1 has been fantastic so far, and I cannot wait to see the upcoming episode 104 title “Brujo.” Watch the preview for Brujo and a special clip titled “Hit That Switch!” below. This episode is directed by David Frazee and airs this upcoming Saturday, November 21, 2015. The Justice League Dark movie has been picking up lately with rumors of Ron Perlman as Swamp Thing, and Colin Farrell or Ewan McGregor possibly up to play as Constantine. Ben Mendelsohn (Rogue One: A Star Wars Story) was even considered for the role of Anton Arcane, the main villain. 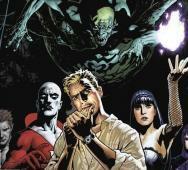 With Guillermo del Toro no longer attached to Justice League Dark, who would direct the film? 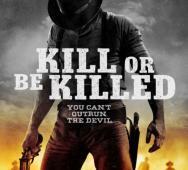 Now we have news on the new directors who are considered to helm the project; Aharon Keshales and Navot Papushado (Big Bad Wolves (2013)) and Fede Alvarez (Evil Dead (2013)). Both considerations are great, but I would like to see Alvarez take Justice League Dark to the dark depths it deserves. What do you think of these developments? Ciaran Foy‘s Sinister 2 (2015) is releasing on Blu-ray and DVD this upcoming January 12, 2016. The Sinister 2 Blu-ray comes packed with extra features including deleted scenes, feature commentary with director Ciaran Foy, and a special making of the film featurette. 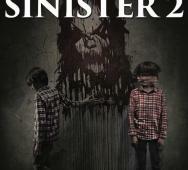 James Ransone, Shannyn Sossamon, and Robert Daniel Sloan star in Sinister 2. Paul W.S. Anderson‘s Resident Evil: The Final Chapter (2017) has been getting many updates on the project from Milla Jovovich on her Instagram and today she posted an ‘Old Alice’ photo. Jovovich revealed that this picture is not a tease of the end of the Resident Evil franchise. Also cast in Resident Evil: The Final Chapter is Ali Larter as Claire Redfield, Iain Glen in the role of Dr. Alexander Isaacs, Shawn Roberts as Albert Wesker, Ruby Rose as Abigail, Eoin Macken as Doc, William Levy as Christian, Fraser James as Michael, and Japanese model and TV personality Rola as Cobalt. At first I was rolling my eyes while watching the first promos for Netflix’s Jessica Jones TV series but now I am eager to watch it on Netflix starting after midnight tonight, November 20, 2015. Marvel and Netflix have released what appears to be a final promo video for Netflix’s Jessica Jones Season 1. 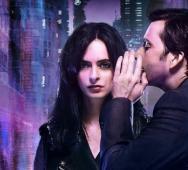 In this promo, Jessica Jones (Krysten Ritter) attempts to save her friend Trish Walkers (Rachael Taylor) from further insulting Killgrave a.k.a. Purple Man (David Tennant) while on air with Jeryn (Carrie-Anne Moss). I cannot wait to see the Purple Man’s revenge. 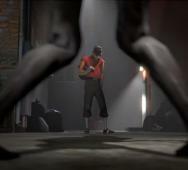 It’s awesome when a filmmaker can tell a story as well as Scout vs Witch: A Tale of Boy Meets Ghoul. The horror elements are there but more importantly, there are a lot of funny scenes of zombie bashing. Looking for some quick Evil Dead-ish comedy, it is right here. Thanks to video creator nailbiterRG for posting this video. Ouija Boards are something that I would never try, why would I tempt faith. If you have been wondering about using the Ouija Board or are just interested in the Ouija Board, do not do it. There is a learning curve and should be left to those who know what they are doing. 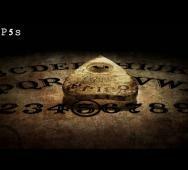 Demon cases including the Zozo demon that is specific to the Ouija Board have all stemmed from people using the Ouija Board incorrectly; you should never use this thing to contact spirits of any kind. Top5s created this awesome video detailing 5 of the creepiest Ouija Board stories ever. It goes without question that the subject matter in this video is extremely disturbing and contains horrific experiments that are true. The tests did happen. This video serves the purpose of the extremes that scientific research has gone through. We live in a strange world with many strange things going on every moment, so please be aware of the cruelties of man. 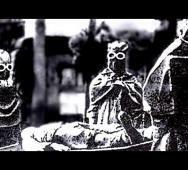 Thanks to Rob d*ke for creating this video of weird, strange, sick, and twisted experiments. Scream Factory strikes again with the Blu-ray/DVD release for Bruce McDonald‘s Hellions (2015) on February 2, 2016. There is no news however on the Blu-ray extras, or even if there are any Blu-ray extras planned. 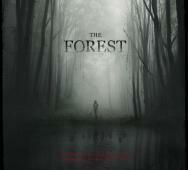 A Halloween-set horror film with deadly trick-or-treaters. Chloe Rose, Robert Patrick, and Rossif Sutherland star in Hellions. 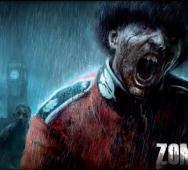 Zombi (previously known as the Wii U exclusive ZombiU) is a zombie game set in London releasing for PlayStation 4 (PS4), Xbox One, and PC on January 21, 2016. The survival horror video game is already available for digital download since August 2015. This is one of the better Ubisoft horror games that has seen new life without being tethered to the dying (dead) Wii U.